Nice old retro cabinet with glass sliding doors, in almost perfect condition. 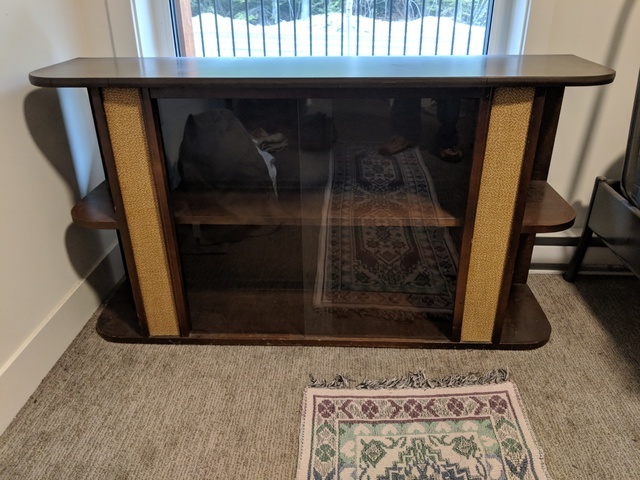 Pretty sure it's originally meant to be a china cabinet but looks nice in a bedroom or as a TV stand or whatever else you want. Dimensions are 67cm high, 132cm long, 31cm deep. Asking for $50 but happy to accept reasonable offers as I need it gone soon.